Corporate citizen, Digicel, continues with yet another initiative to aid with the development of Grenada’s Human Resource and Societal improvements. 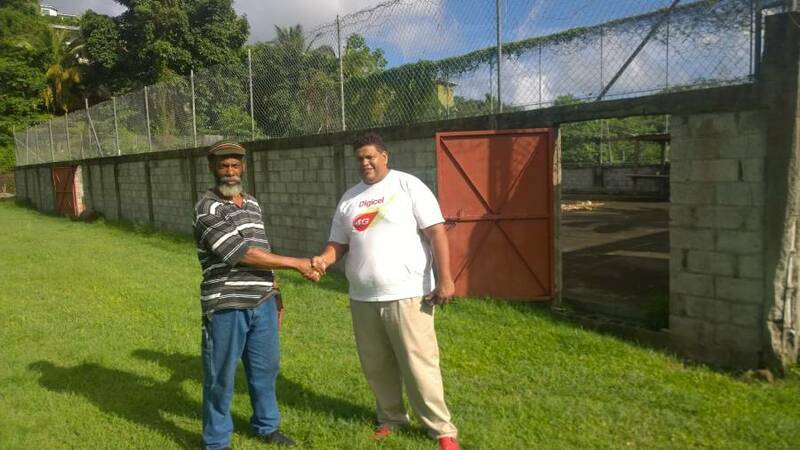 Digicel has pledged over $40,000 to providing lighting facilities to the Morne Jaloux basketball court. The residents of Morne Jaloux, the Bocas and other surrounding villages will soon be equipped with a basketball court that can be used for community sporting initiatives and other recreational activities during the day time as well as the evening with its new lighting equipment. This new rehabilitation is in addition to the recently launched Digicel 4G Computer Lab at Mount Rose in St Patrick which will be utilised by the students of the Mount Rose Seven Day Adventist Comprehensive Secondary School as well as the adults and senior citizens in the community. Beginner Information Technology courses will be provided to members of the community to encourage them to take advantage of the countless opportunities that can be attained through utilising the Digicel 4G Computer Lab. Over the past year Digicel has undertaken a number of initiatives geared at bettering the lives of Grenadians and alleviating social ills throughout the communities. Renovating of the Charles Memorial Home for the Elderly, annual Special Needs festival, financial assistance to the Street Side Achievers, Grenada Patient Kidney Foundation, Programme for Adolescent Mothers, Father Maligans Home for Boys, Hill Top Home, cricket clinics and football tournaments, to name a few. Digicel is also steadfast in bringing the best value and the latest technology to the people of Grenada. This can clearly be seen in the recently launched double value promotions and as well as the launch of the first 4G network across Grenada, an investment of US$5M, ensuring that Grenadians are aligned to global trends and the latest technology. Digicel, standing firm on its commitment to the Government and people of Grenada, to help improve the lives of Grenadians and to assist with eradicating social ills, will continue to undertake projects similar to the enhancement of the Basketball court as well as the 4G computer lab, while providing the best value, best service, the best care, and the best network.